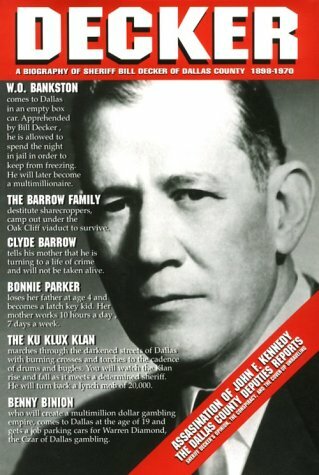 jim Gatewood, a child of the depression born 11 days before the market crash of 1929, was brought to Dallas from Chicago in a laundry basket in the backseat of a 1929 Hudson automobile. Avid hunter, history buff and gun enthusiast, it was only natural that his circle of friends should be lawmen with the same interests. Exposed to the stories of Sheriff Bill Decker by campfires and long trips to and from the hunt served to whet his appetite to write a biography of the legendary Sheriff.